Sky has confirmed that it will rebrand the recently acquired Living channel to Sky Living from next year, and move it up to channel 107 on its EPG. Living, along with Bravo and Virgin 1, was recently snapped up by Sky from Virgin Media, giving the satellite giant yet more of the key non-digital terrestrial television channels. Sky believes that Living sits perfectly alongside its two other key entertainment channels – Sky1 and the forthcoming Sky Atlantic, which will bring the best of HBO and other key US programmes. To that end, the company has announced that Living will be rebranded from 2011, and, significantly, the channel will be given a 25 per cent hike in its programme budget. "Living, the home of programmes such as Britain's Next Top Model, Four Weddings, Chuck and upcoming UK drama series Bedlam, was acquired by Sky from Virgin Media earlier this year," said Sky's release. 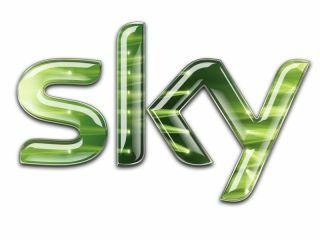 "To build on the channel's success as one of the UK's leading pay TV channels, it will re-brand as Sky Living from early 2011 and benefit from a 25% increase in on-screen investment. "It will move to a new slot of #107 on the Sky EPG from its current position at #112." Sky Atlantic is set to launch 'from early 2011' and the triumvirate of channels will give Sky a stronger entertainment line-up than ever before. "Investment in stand-out content is at the heart of our strategy and we're delighted to be able to offer customers so much choice and quality across our expanded entertainment line-up. Taken together, these channels will have real cut through. "Quite simply, they will be channels worth paying for and will give even more customers reasons to choose pay TV."